See the Lunasol Summer Kit 2012 on Biteki.com. 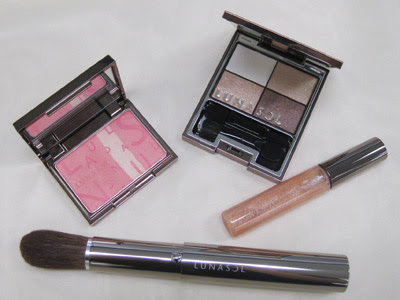 It includes Summer Eyes 2012 EX01 Glowing Beige Brown, Full Glamour Gloss N　EX21　Shining Beige Gold, Summer Cheeks, 2012 EX01　Glowing Pink Coral, a brush and gold pouch. Adambeauty.com has the Starter Kit 2012 with the Skin Modelling Eyes 01 Beige Beige and Cream Cheeks 08 Soft Orange in stock. Kuri's Beauty Report has pics of the Bobbi Brown Desert Twilight collection. Abe Sawako has a sneak peek at the Chanel Les 4 Ombres #37 quad for fall, to be released on 6 July in Japan. Suqqu will release a Moisture Massage Scrub (6300yen; 125g) on 6 July in Japan. 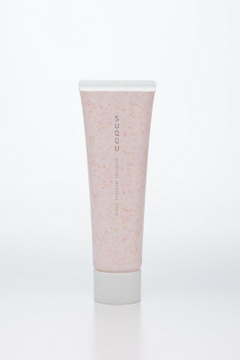 The gel cream is a facial cleanser, massage and exfoliating scrub in one and contains yuzu extract. 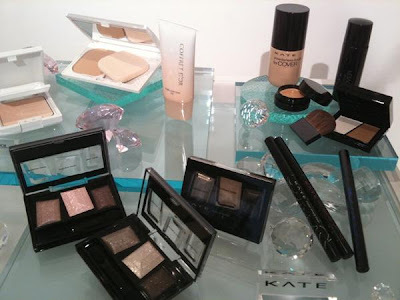 Sneak peek from the Frau editor of the upcoming fall collections by Coffret D'Or and Kate. Kate is launching a liquid foundation that transforms into powder within 15 seconds. ASOS.com has the new spring shades of Rimmel Lasting Finish by Kate Moss lipsticks. See swatches in this earlier post. It's the Beauty Look Book's 3rd anniversary. If you're not reading her yet, you need to! Ooooo, can't wait to see the new Kate foundation that turns to a powder. I love Kanebo's foundations; they really know how to do them well. i am your silent reader, have been following your posts and blogs for a long time. For the Rimmel lipsticks (Kate Moss series), I have been searching high and low for the colours #9 and #2 after seeing your swatches. I checked a few online shops ASOS, Feelunique but they don't have this colours. Any idea where I can but it online. Thank you. #2 is available on Boots.com but they do not ship internationally. #9 was a shade that I found in France, don't think it was released in the UK. I'm afraid I don't know of any websites selling it.